Habila, West Darfur, August 10, 2004.IDP beneficiaries of a WFP food distribution operation waiting for a plane airdrop. More than 140 metric tons of food in 2800 50 Kg bags will be dropped in one day from four big Yliuchin cargo planes. 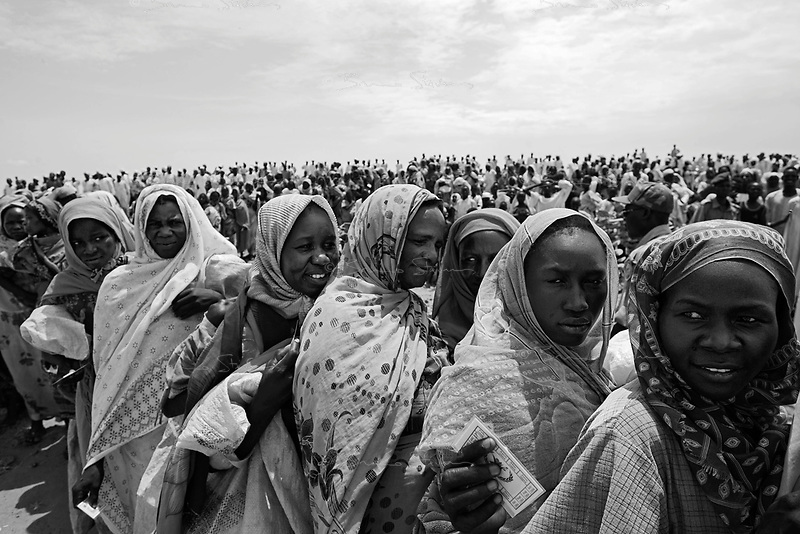 During the month of July 2004 alone, the WFP distributed food for more than 951 000 people in Darfur.